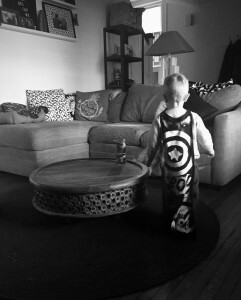 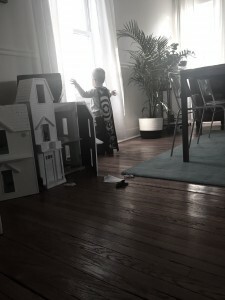 My almost 3 year old son recently started to role play super heroes and bad guys. He even has a special “bad guy” voice he uses when playing the role (which is hysterical). I wanted to allow him to take his creativity to the next level. 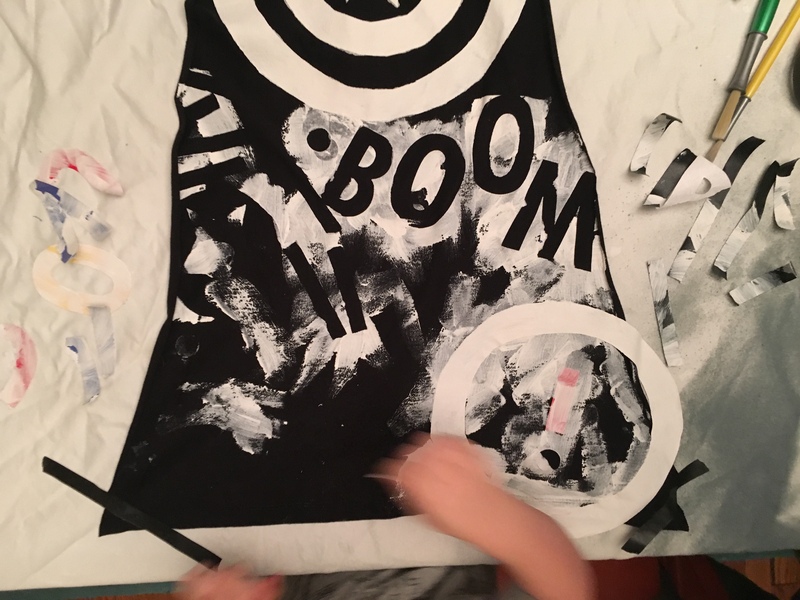 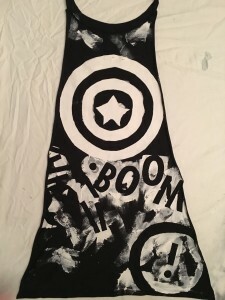 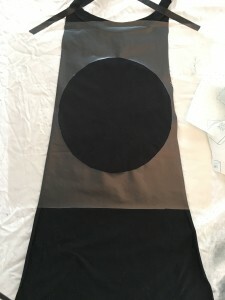 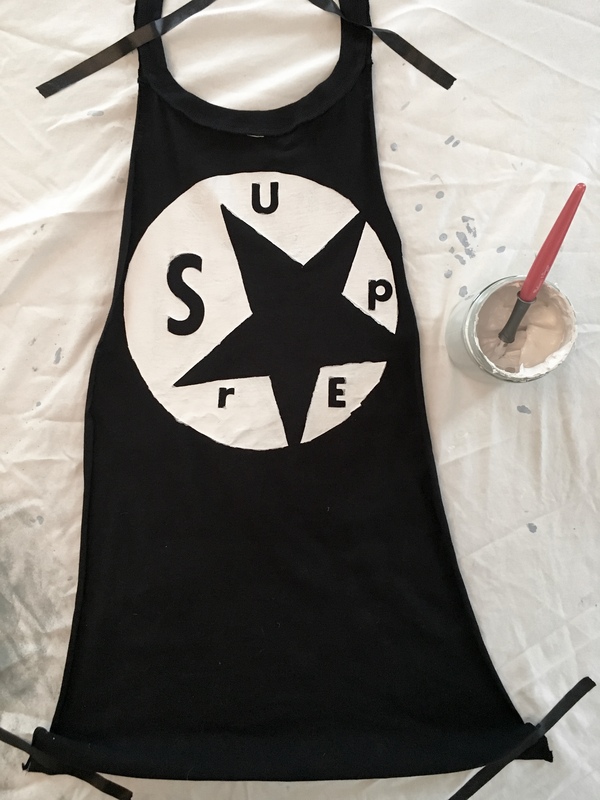 So I planned a DIY project to make our own super hero/villain capes. He had a great time and loves flying around the house while pretending to save the day or sprinkling the darkness around, haha. 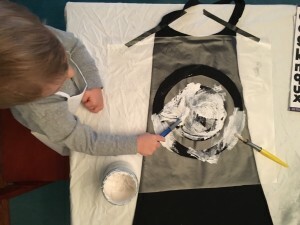 We used old t-shirts to make our capes and the following directions can help you create your own. 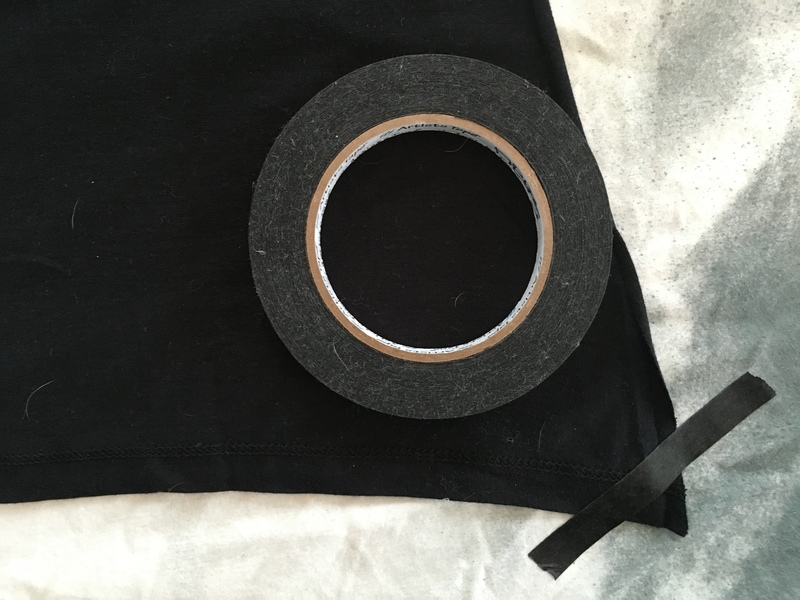 Start out by prepping your work area with plastic, canvas or old bed sheet. 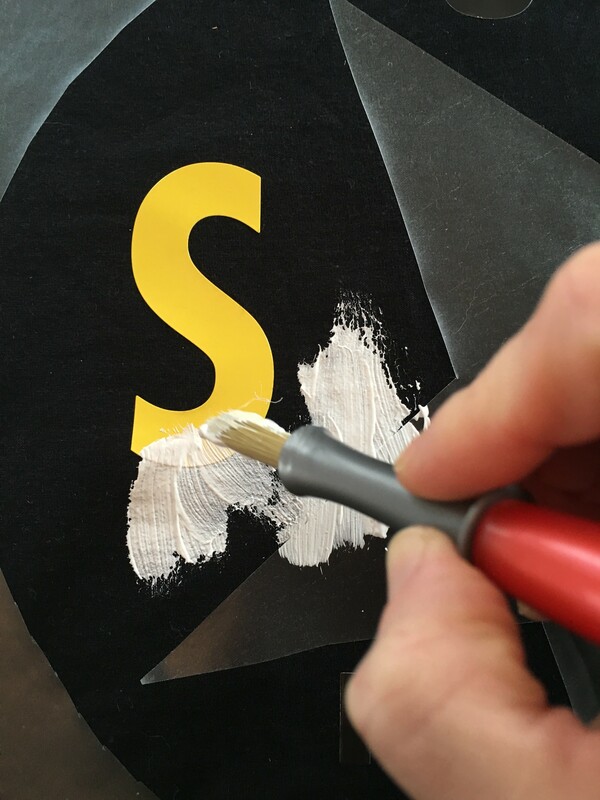 Turn t-shirt inside out if it has text or design and smooth down on your work surface. 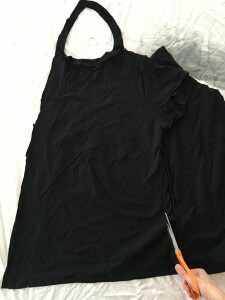 Then cut up the front center to the seam of collar. 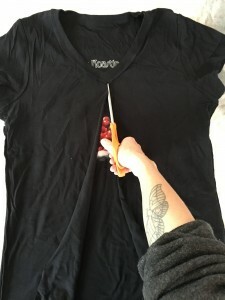 Cut around the collar to the shoulder seams. 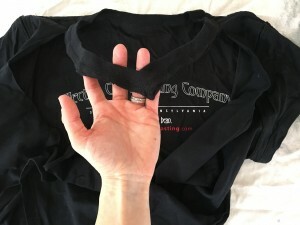 Flip t-shirt over and cut from the botton left corner seam at an angle to the bottom of the collar. 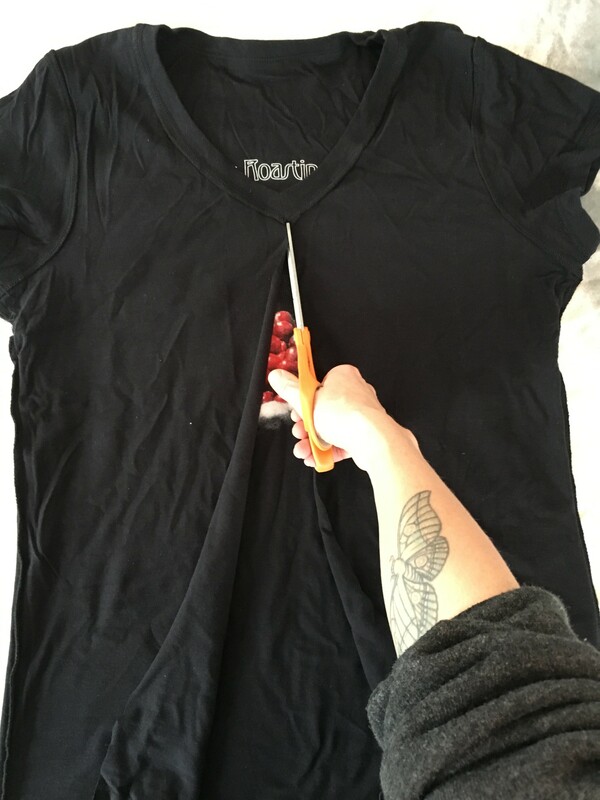 Use ruler if you need a guideline. 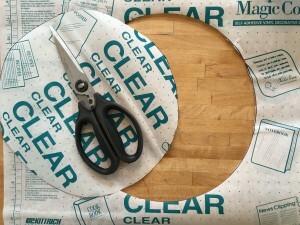 You are ready to tape down your corners. 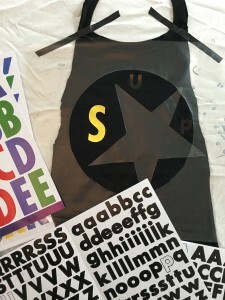 Design your cape by using contact paper to create custom stencils, use vinyl letter stickers for easy text and numbers designs, and use tape to create fun lines and borders. 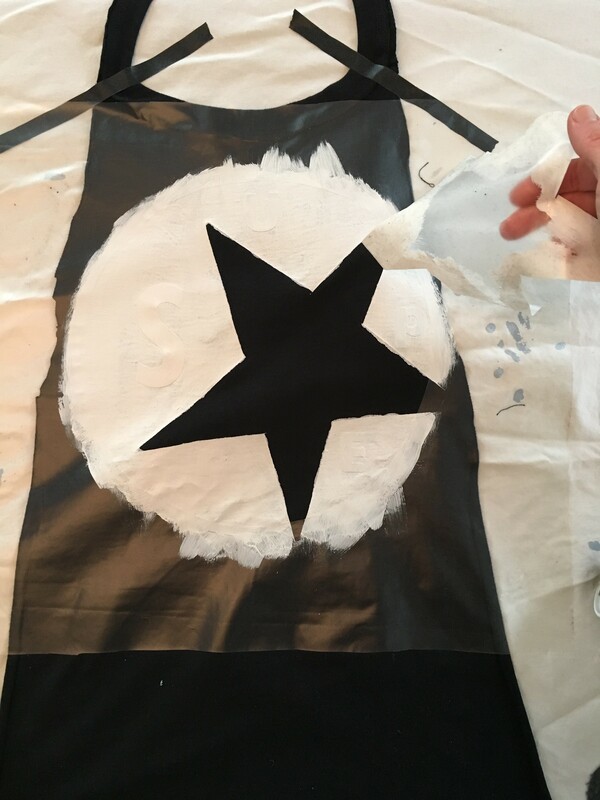 Making a Stencil: Draw out your shapes on grid side of contact paper with sharpie marker. Tip: We traced plates and jar lids to create circles of our designs. 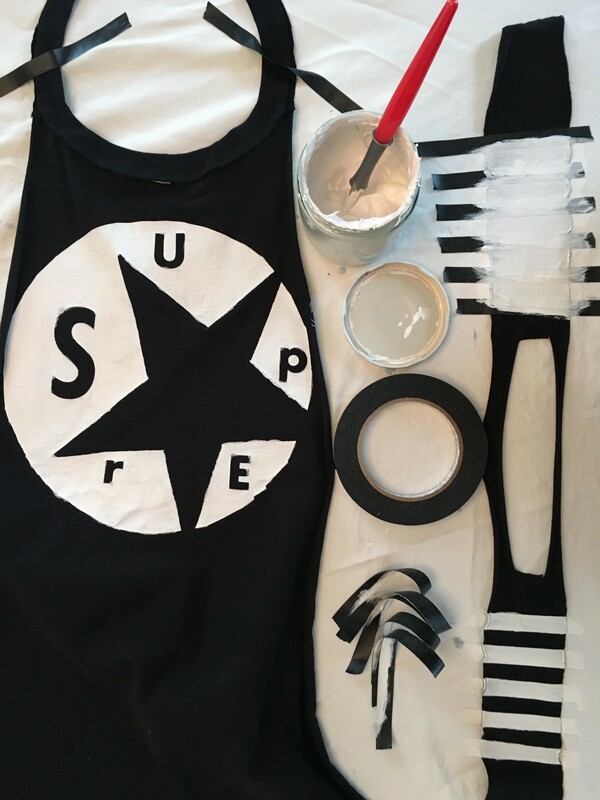 Cut out your sticker stencils. 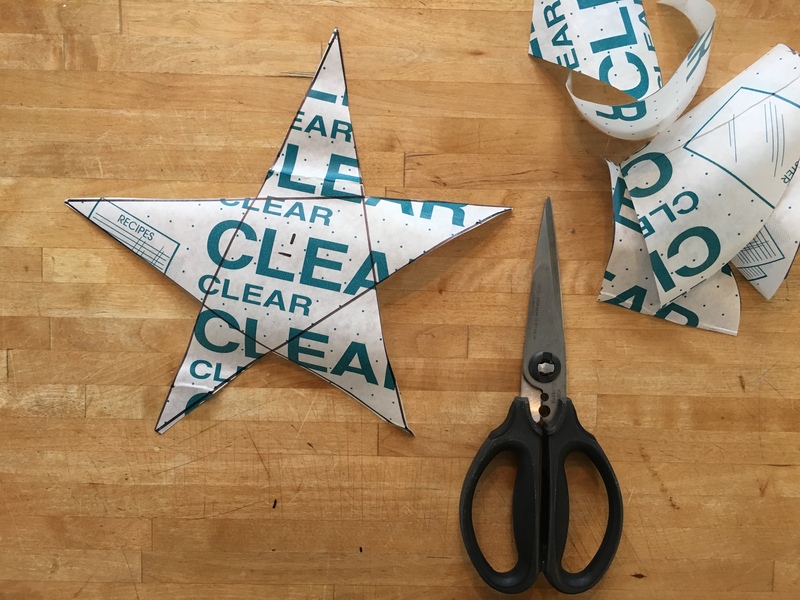 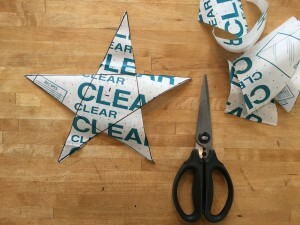 Pull the backing off of the contact paper and lay adhesive side down onto your fabric. 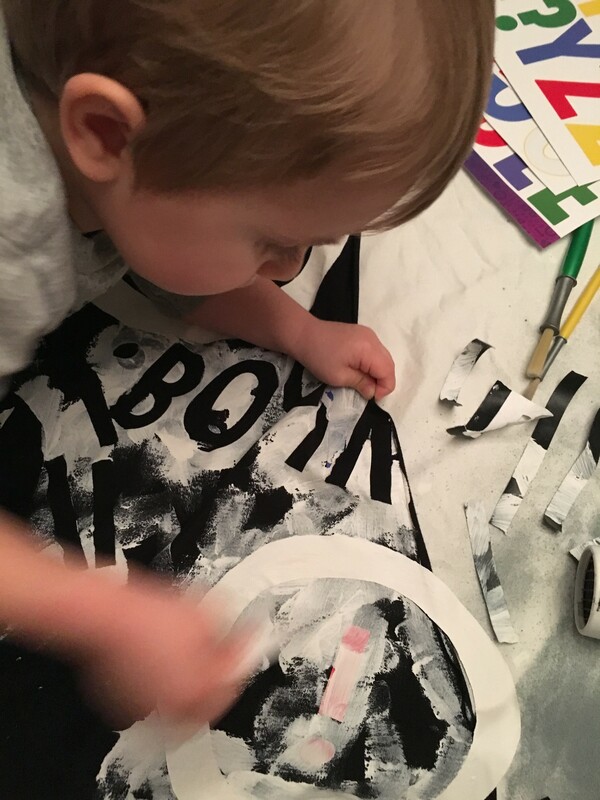 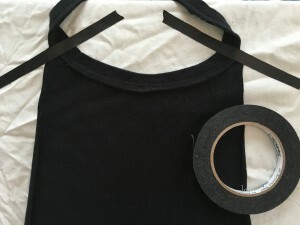 Remember that the area covered up with contact paper stencils, stickers or tape will remain the color of your t-shirt and all exposed fabric will get painted. Using a paint brush, apply even layer of fabric pigment. When using dark fabrics two coats of ink may be necessary. 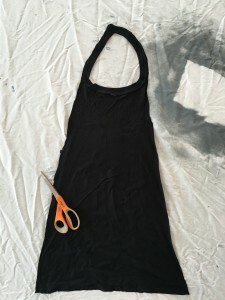 Fabric inks must be heat set into fabrics using high heat. 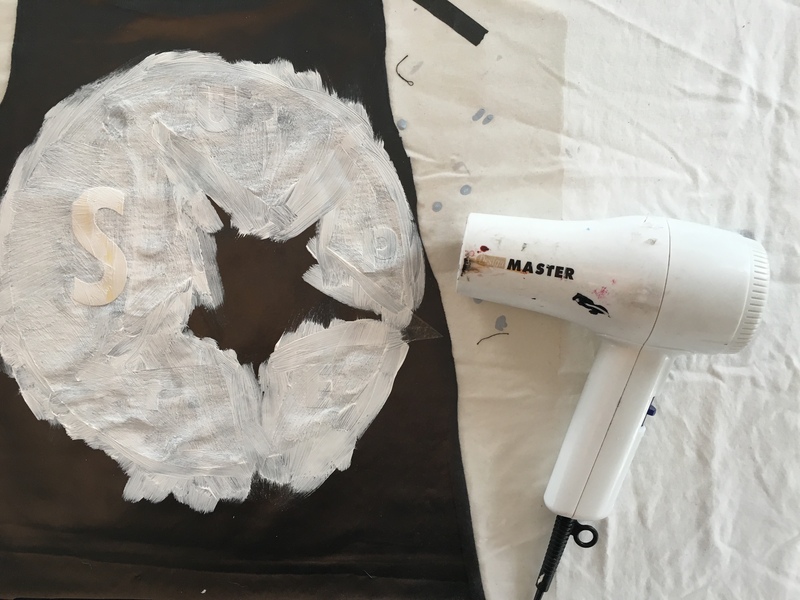 Use a hair dryer immediately after applying ink until completely dry to the touch. 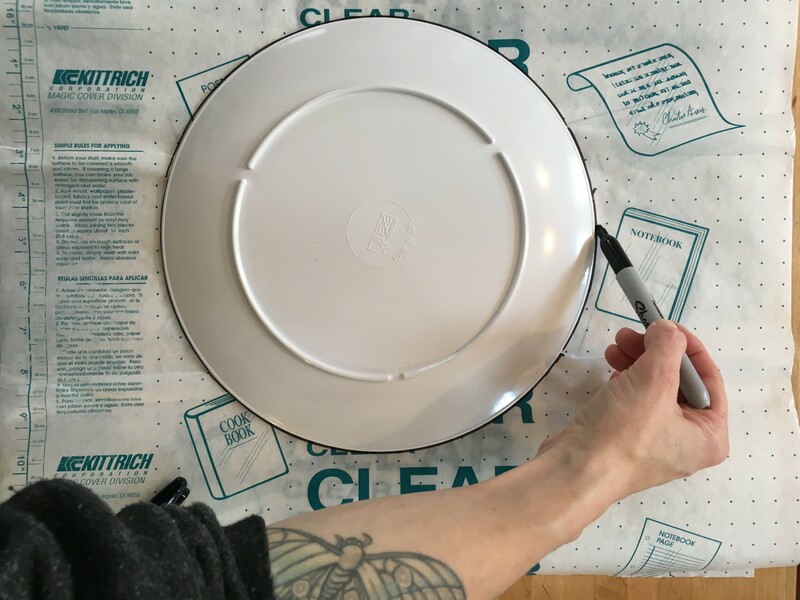 Continue this step for every layer you add. 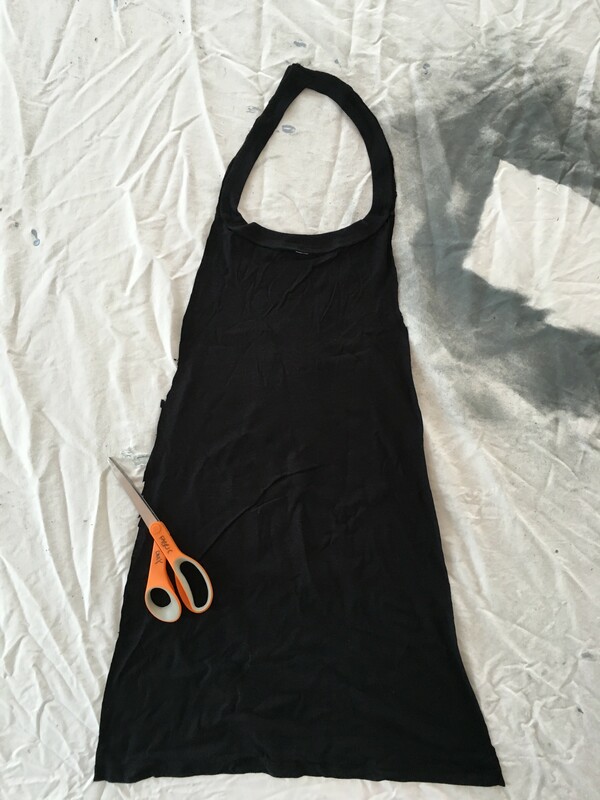 *Note – Once you are finished with your design it is recommended that water-based fabric inks be cured into the fabric using a household iron on high heat up to 5 minutes and then put into clothes dryer on high heat up to 30 – 45 minutes or more. 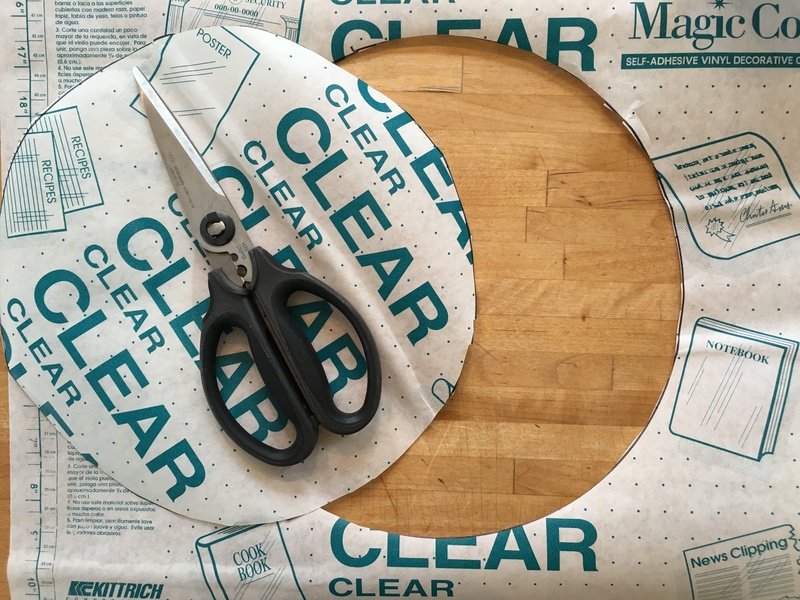 Some even recommend baking in conventional oven at 350 degrees for a few minutes. I have never used this method but wanted to mention it as an option. 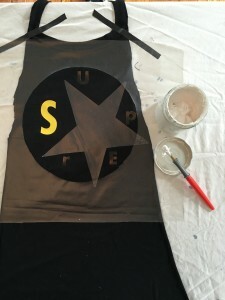 Remove stencils, tape or stickers when the ink is dry to reveal the amazing design left behind on your new super cape. Ta-da! 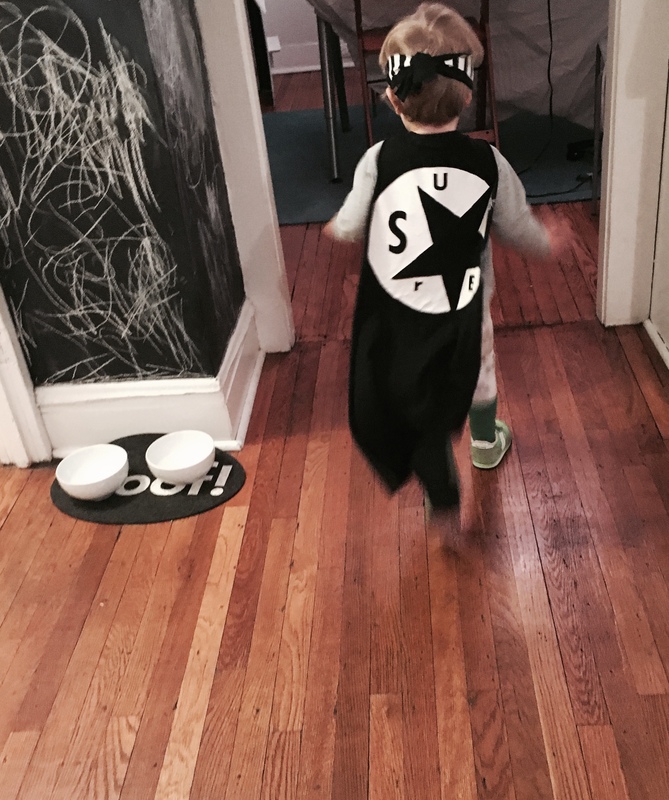 You and your Super Little or Villain are ready to fly around in style.